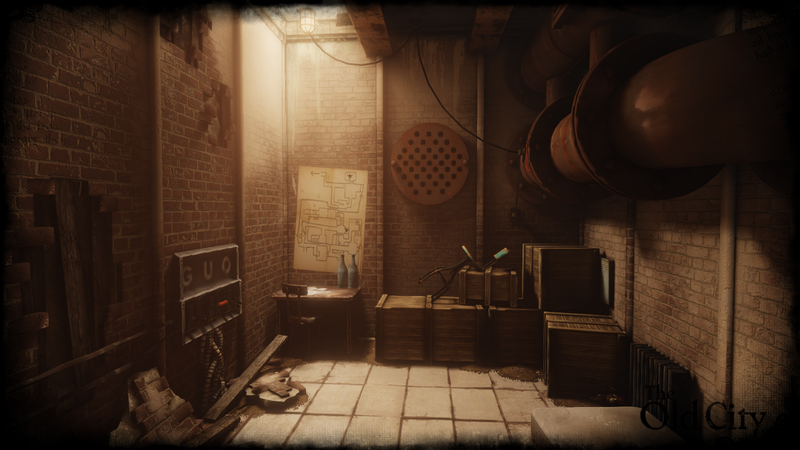 The Old City is a first person adventure game that deals with philosophical themes in an exploratory way. The release date is subject to change based on how much funding is raised (see below sections for details). The game's mechanics, pipeline, tools, writing, and art direction are already completed. The only elements missing now are additional assets and the placement of said assets in the unfinished areas. We currently have 25% of these art assets completed, and that has taken us a year while working on weekends and in our spare time. At minimum funding, the game will release in 18-24 months. If we are able to work full-time, we will be able to release in less than a year. We are developing for PC (Windows), and the October estimate in the rewards section pertains to the printed bust models, not the finished game. The Old City will support Oculus Rift! 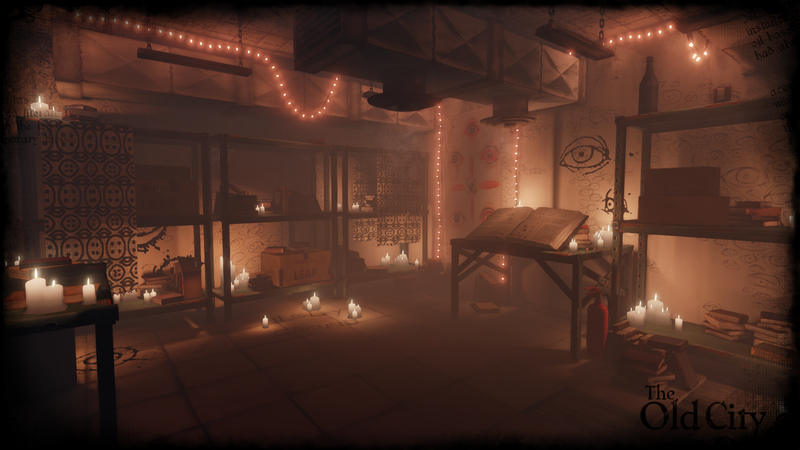 The Old City is a first-person adventure game (PC) that focuses entirely on story. 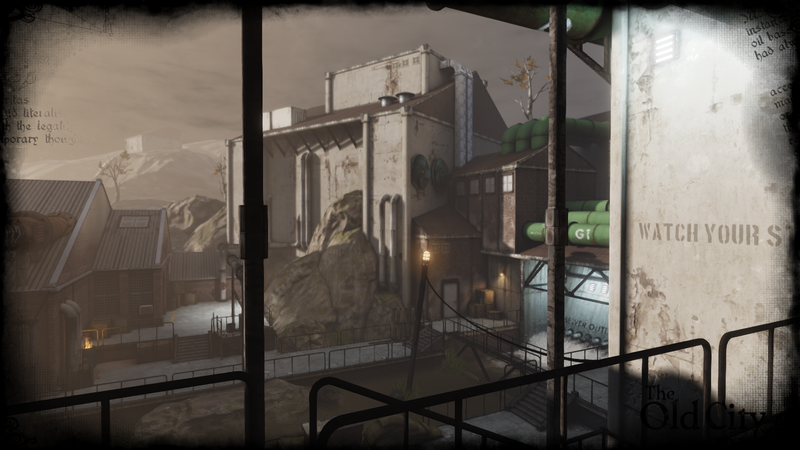 This story puts the player in the shoes of a sewer dwelling isolationist who is on a journey to the surface and to the Old City. On this journey, you will encounter the shattered remnants of a civilization long past and the echoes of the few who remain. This game is not about fighting bad guys, commanding armies, boosting stats, or even solving puzzles. The Old City is about discovery. You learn more about the world by exploring it, and you understand more about what you find by making the conscious effort to connect the dots. We won't be there to hold your hand, but we are giving you everything you need. In our game, you have all of the pieces right in front of you, and all you need to do is put them together. Since our game is so focused on story, it is very difficult for us to describe it to you in detail without spoiling quite a bit of it. What we can say is that we are dealing with a lot of inherently philosophical themes. We aren't just throwing that word around for effect, either. Specifically, we are dealing with the area of epistemology (or, the nature of knowledge). In fact, what we hope to do is present a coherent epistemology (theory of knowledge) over the course of the game. We aren't planning on presenting it to you as if you are in a classroom, using slides and textbooks, but rather in a way that interests us. That is, in an allegorical and explorable world. The nature of this world is where we are unable to give any details, because everything about the world speaks to our epistemology. All we can say is that your character lives in the sewers, and he is called a Minotaur. But, he does not want to stagnate any longer. No, he wants to ascend. Because everything is about story, we are keeping gameplay to a minimum. Interactivity exists to help you further the story along. You can walk, jump, climb ladders, open doors, and move around key objects that communicate something about the world. There is absolutely no UI other than a main menu, and there are no objectives, death screens, or enemies to combat. So, what do you do? You explore. We want to tell a good story. In fact, we want to tell a story that means something. Interactivity can help us do that. We are telling a story that deals with content that interests us in a way that interests us because that's the best environment for human experience to be shared. This experience is different than that of a book or a movie because it is not linear. The game will branch out into three distinct tangents depending on how you view the world. Beyond this, each level has a massive portion (about 75%) of completely optional content that you simply do not have to see if you do not wish to. You may understand something less or perhaps even something different about the story if you do not make the effort to explore these areas, but that is up to you. The world itself has a living consciousness. We are approaching design as if we are constructing a conversation between two entities. The first is the character. Whenever the character speaks, it is in response (temporally and spatially) to something he has found in the environment. This environment is the second entity, which is where things get far more interesting. What this means is that it will literally respond to the character in various ways. Whether subtly rearranging itself to open or close pathways, hinting at some larger meta-narrative, or actually communicating with the character using written words, the environment is a responsive entity that acts as the second half of the conversation. Your task is to act as an observer to this conversation and to pick up on the flow of communication between the two parties. Thus, in terms of gameplay, if you see something in the environment change either overtly or even subtly, you should pursue it. We want to train you to be sensitive to allegorical frameworks. Don't be afraid to interpret what is happening. Don't be afraid to be wrong. For more information about our take on gameplay, see this interview. Immersion is important in telling a good story, which means that the world needs to be detailed and alive. This requires manpower and time. Both of these, in turn, require money. Up until this point, we have been working on this project part-time (really, only on weekends) while supporting ourselves with other jobs. In a year, we have only managed to create about 25% of the game's art assets and modular work. We need to work faster, and we'd like your help in doing so. It is also important that the right talent is behind the wheel. Atrium Carceri, the composer of the wonderful music from the trailers and the game itself, needs to eat! We can't very well expect him work for us for free, now can we? Ryan Cooper, the voice of the game, also needs a commission, and we need your help to pay him and the others who help us out in the development process. We also need programs and computers. The work we are doing would go a lot faster if we had the right tools. Not only would it go faster, but it would look better. Preorder: Receive a Steam installation key for the game. As an option, the game will also be available through our website. Digital Soundtrack: Atrium Carceri is the artist behind a plethora of fantastic dark ambient soundscapes. His work was perfect for our project. He runs a record label called Cryo Chamber, where you can find other similar artists. The full album is not finished yet, but it will be very extensive. Credits Room: Hidden in the game will be a large room dedicated to those who have backed the project. Names will line the walls in this sanctum of gratitude. 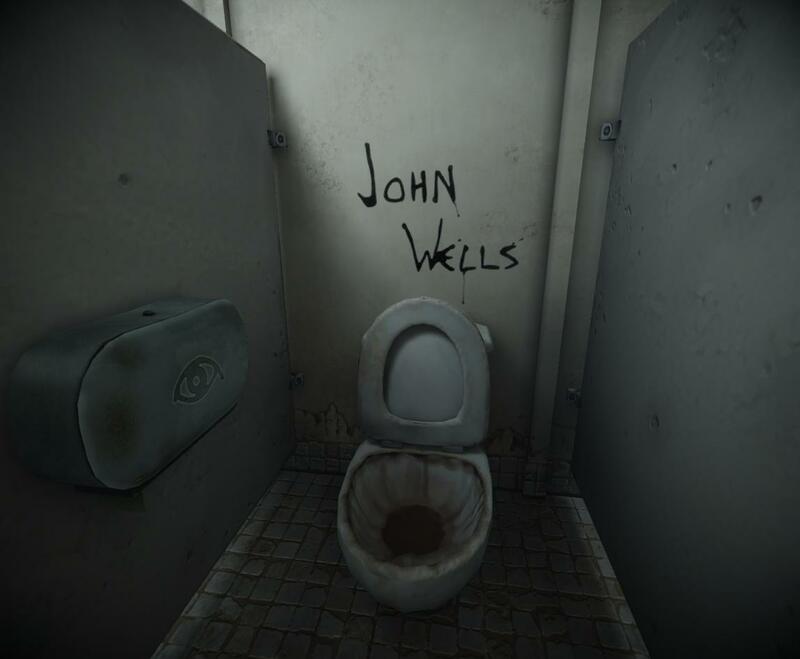 Graffiti: Throughout the game, information related to the story is hidden amidst graffiti. For this reward, we'll hide your name in there with it! Decorative Plaque: With this reward, you will get your own decorative plaque with your name. At $2500, it this plaque will also feature a sculpted relief of your face! This will be placed in the credits room. Busts: The three tangents in the game have three corresponding factions. The Guild of the Greater Eye, the Unknowing, and the Order of the Cosmos. 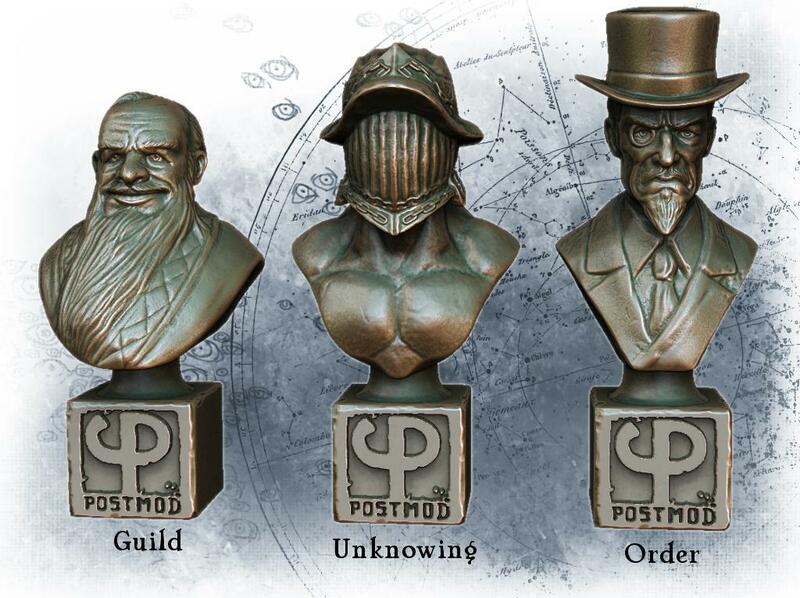 Each of these three factions have their own bust that represents their perspective on reality. With this reward, you receive a 3D printed version of one or all of these three busts, in either small (around 4 inches tall depending on the variant you choose) or large (around 7 inches tall depending on the variant) sizes. Fountain: Just before choosing one of the three tangents to explore, you are met with the Fountain. We cannot say a whole lot about its exact significance in the story, but you can have it printed in 3D with this reward. Personal Bust: With this reward, of which there is only one, our fantastic sculptor, Josef, will sculpt your head to be placed in-game at the center of the Credits Room for all to see, as well as your name. You will also receive this bust 3D printed! We started this project because we want to see games be something different. The Old City is an interactive story that attempts to deal with existentialist themes in a way that is typically neglected in the medium. Generally, and especially within the context of “indie” projects, the overall objective is to maximize the originality and complexity of gameplay and to minimize reliance on cinematic appeals or aesthetics. This is in response to what a lot of people refer to as “shallow” titles. There is (in our opinion) a well deserved frustration with titles that have little to no plot value and somewhat disappointing gameplay. However, this frustration is often translated into an undue neglect for aesthetics and story. A common phrase used in this context is “gameplay first.” The assumption is that anything other than the gameplay mechanics themselves is secondary and even unnecessary. We would like to challenge this assumption. Our basic goal with this game is two-fold. First, we want to deliver a meaningful and philosophical message using what is currently the best combination of media available (i.e, a game). Second, we want to take the elements of what make this medium great and highlight those that are often ignored. That is to say, while interactivity is generally praised over visual, audio, and conceptual aesthetics, we plan to minimize interactive complexity (gameplay) and maximize aesthetics to prove this point: any part of what makes a game a game can be the focus, as long as that element is of substantial quality, and as long as the other elements that support it are not nonexistent, but rather are just what they need to be to help the highlighted element stand out further. Thus, for our game, gameplay is simply a vessel that helps users immerse themselves in the world. It is not the focus. Story is our focus here. Bob handles technical art and level design. Beyond this, Bob also writes the story for the game. Red is a 2D artist that handles the majority of the textures in The Old City. He also is responsible for the art direction in general. Pyra is our major support artist who handles both 3D and 2D assets. A huge portion of our non-modular assets (anything that isn't structural) is being created by Pyra. Smooth is our programmer. He also designed our website and is actively involved in working with Bob on the story side of the project. Specializing in 24bit dark ambient music, Atrium Carceri runs the label Cryo Chamber. His work is incredible, and he inspires other artists to follow in his steps. Check out his work in the trailer! The enormously talented Ryan Cooper is responsible for the fantastic narration of the game. Check out his work in the trailer! Handling anything from sculpts to animations to environment assets, Kevin, another great support artist, is hard at work creating fantastic art content for the game. The lovely ambient sounds throughout the game are being created by Alex. Another great support artist, NFWar is responsible for creating a lot of the organic or natural objects in the game. A professional sculptor, Josef handles almost everything that is, in fact, a sculpture. Statues, busts, and other sculpted static objects are his work. We aren't inviting you to fund something that doesn't exist yet. In fact, quite a bit of it does exist. We are inviting you to help us complete what we've already started. There shouldn't be any confusion as to what this project will look like when it's completed, because we've already shown it to you! However, the nature of this sort of endeavor is that it's risky for everyone. It's risky for you as a supporter because things happen. Unpredictable things happen to people and to people's work. We cannot guarantee that something won't happen that will prevent us from getting shipments out, for instance, and we cannot guarantee that something won't happen to us, causing us to delay the development process. Of course, we are actively taking precautions to make sure we are in appropriate work environments to minimize risk. What we can guarantee is that we can get this done. Based on how much we have completed, the fact that it is all working correctly, and, more importantly, how dedicated every single member of this team is to both this game and the theory behind it, we know we can get this done. It's also risky for us personally, as we have our reputations on the line here. Our entire team wants to make games. Not just a game, but multiple games. We want to keep making things that interest us, and we can't do that if we destroy our reputations. Receive a digital copy of the original soundtrack. Your name will appear in a special credits room in-game. Your name will appear as graffiti somewhere in-game. Your name will appear on a decorative plaque in-game. You will receive a (real-life) small (around 4 inches tall depending on the variant you choose) Guild, Order, or Unknowing bust of your choice! You will receive a larger (around 7 inches tall depending on the variant you choose) Guild, Order, or Unknowing bust of your choice! You will receive all three large (around 7 inches tall) busts! 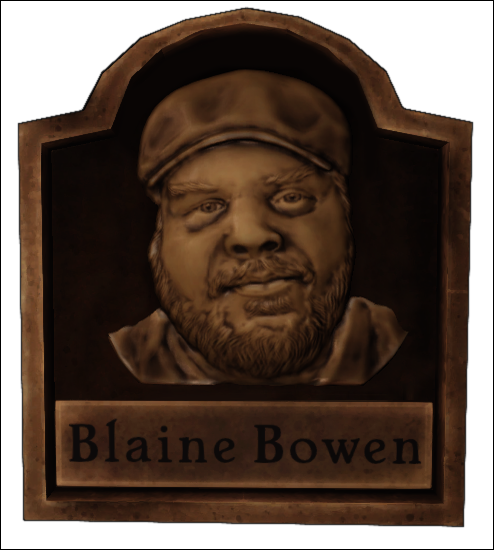 Also, the decorative plaque will feature a sculpted relief of your face! You will receive a (real-life) miniature of the Fountain (8 inches tall). Your name and face will appear in-game for all to see as a bust. You will also receive this bust 3D printed!